An easy day with a general downhill trend as we follow the Moselle/Mosel river most of the day. 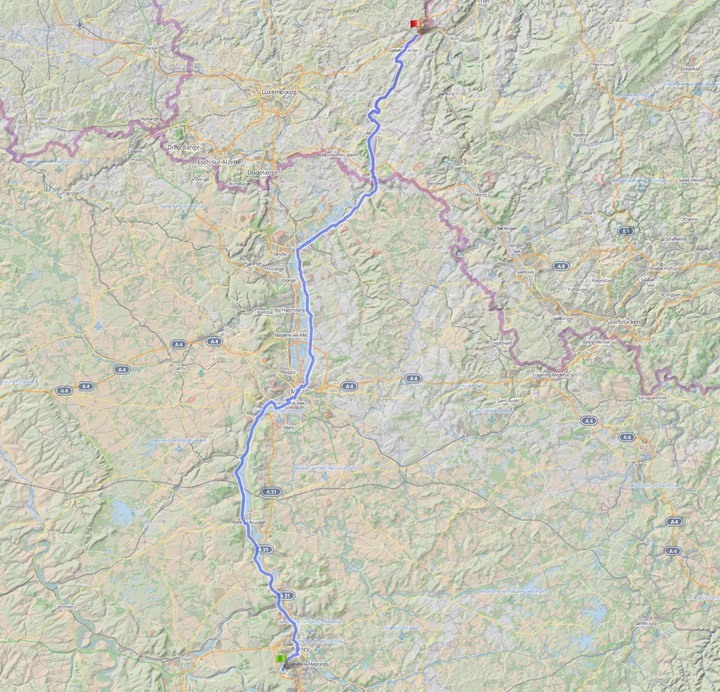 A few hills to climb beyond Thionville when the route does not run close to the river, but later on it is going to be a flat roll out towards the finish. We start out on the high side of Nancy, so rolling down to the city in the morning. Breakfast downtown recommended. Another obvious stop would be Metz, 70 km into the ride. The day’s track ends where the day 1 track left the Mosel river valley. Camping will be in the same place at Igel as before the start. 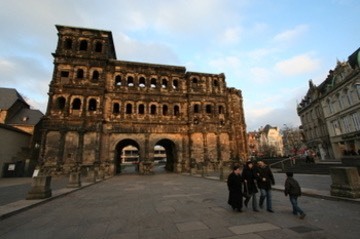 We will have a welcome ceremony offered by the City of Trier, to take place on the Square by the Porta Nigra, a Roman landmark from the 2nd century, which every local knows. The meeting place is on the inside of the gate, on the square pictured above. We will therefore ride to downtown Trier in the afternoon, either directly as we get back into Germany or from a refreshment stop at the campground. Reservation for the group is confirmed.